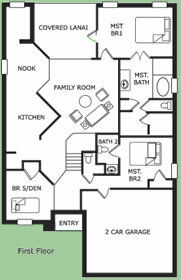 2450 sq. 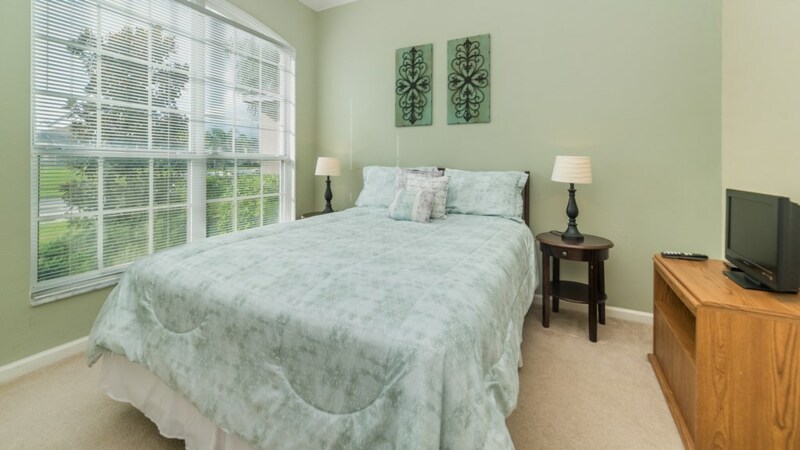 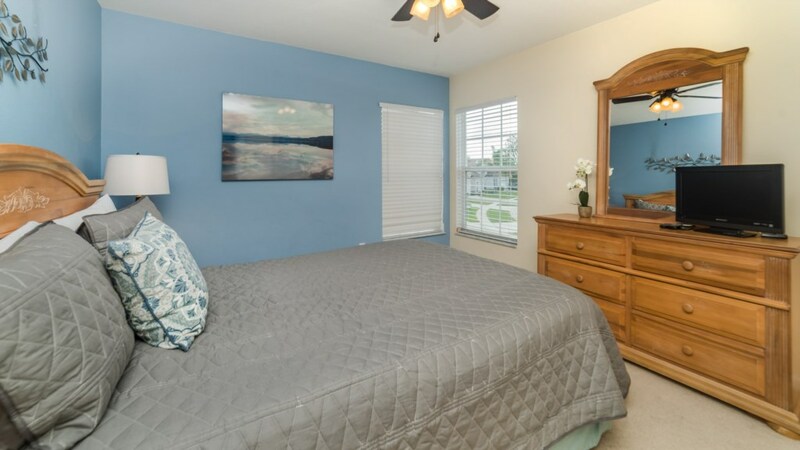 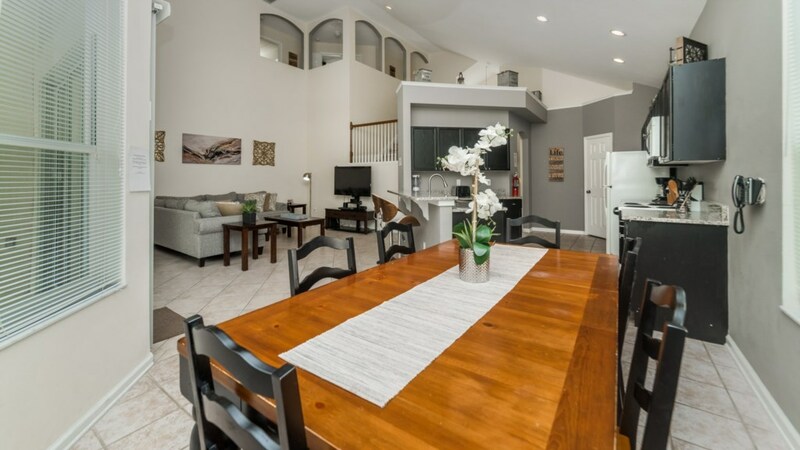 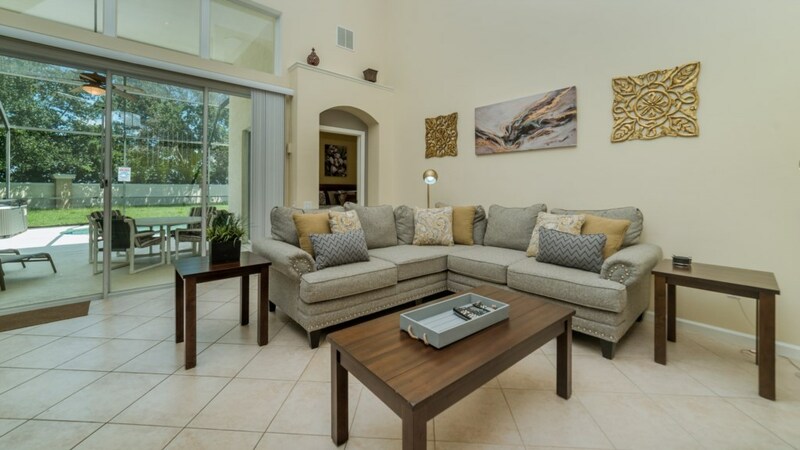 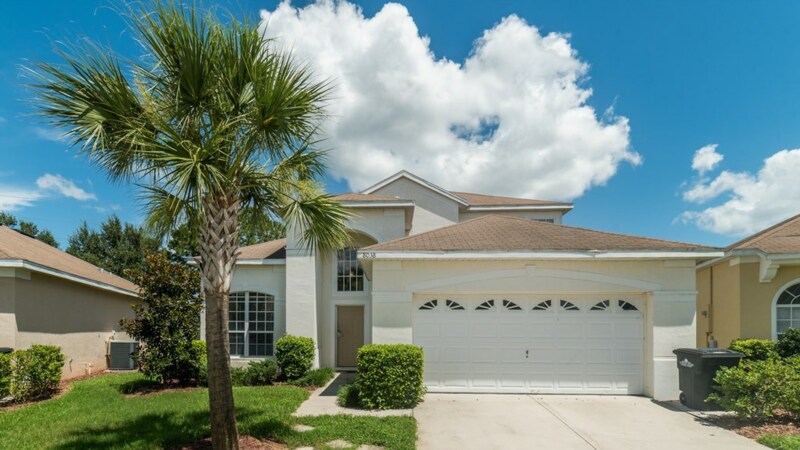 ft, 5 bedroom – 3.5 bath (2 story) Welcome to this elegant, professionally decorated Orlando vacation pool home. 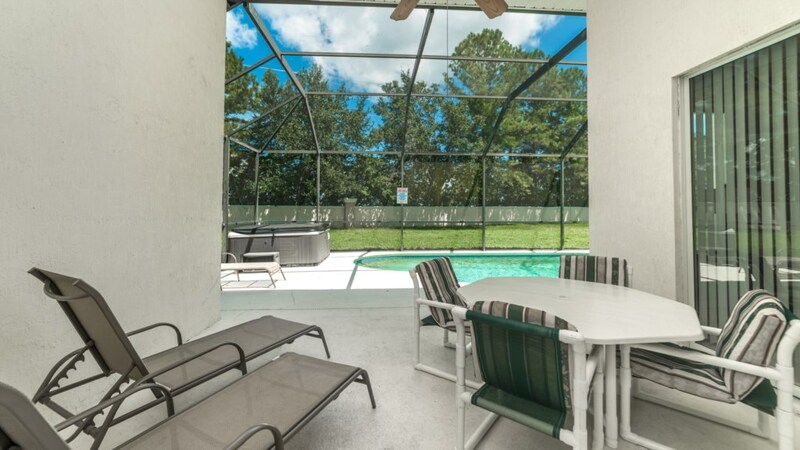 This 5 bedroom, 3.5 bath home has a screened-in pool and spa. 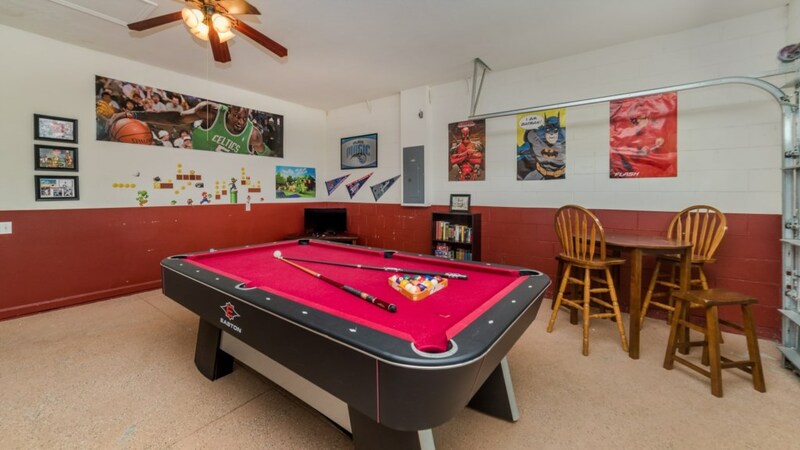 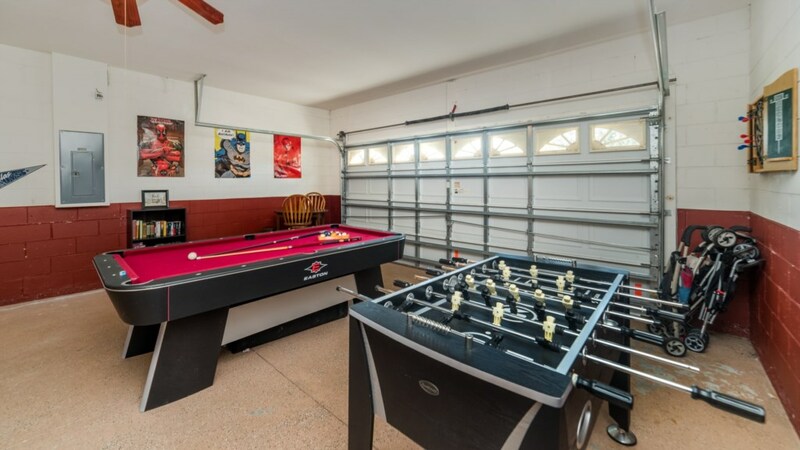 The fun game room has a pool table and foosball table . 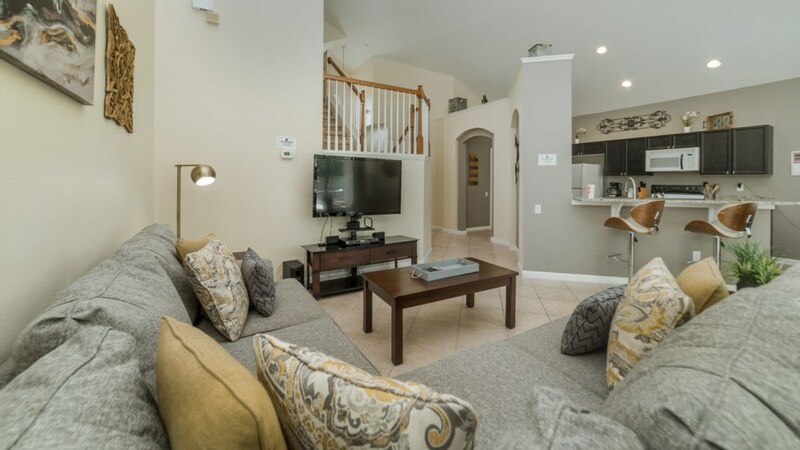 The living area is equipped with a 42'' big screen television and DVD. 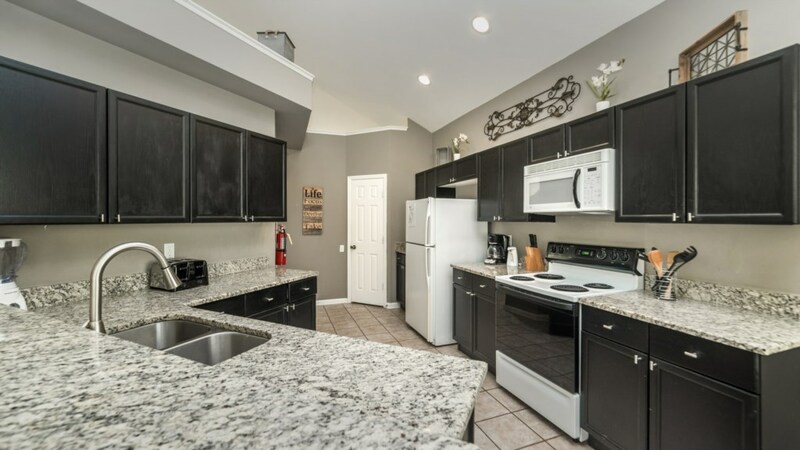 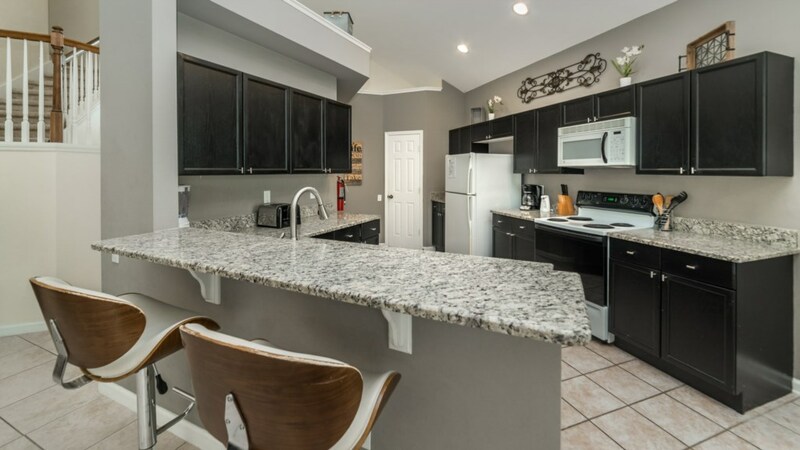 The kitchen is fully equipped - everything you need to make your stay comfortable and convenient! 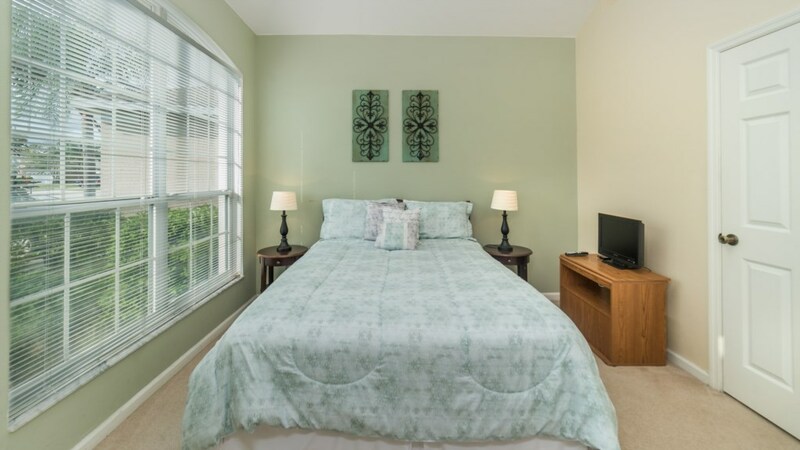 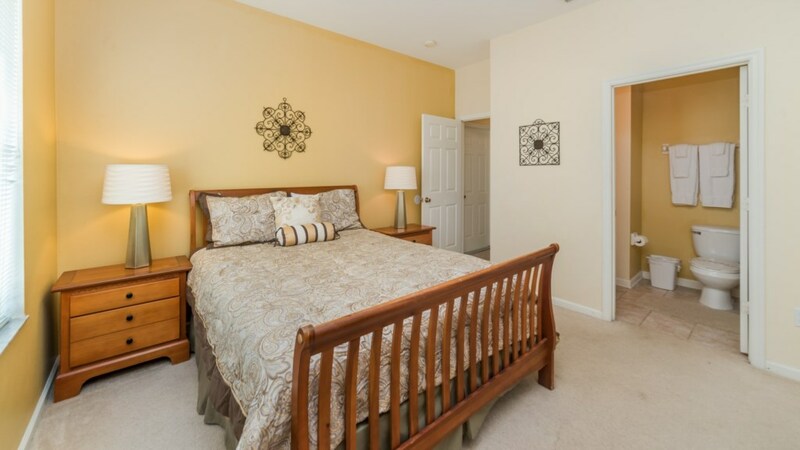 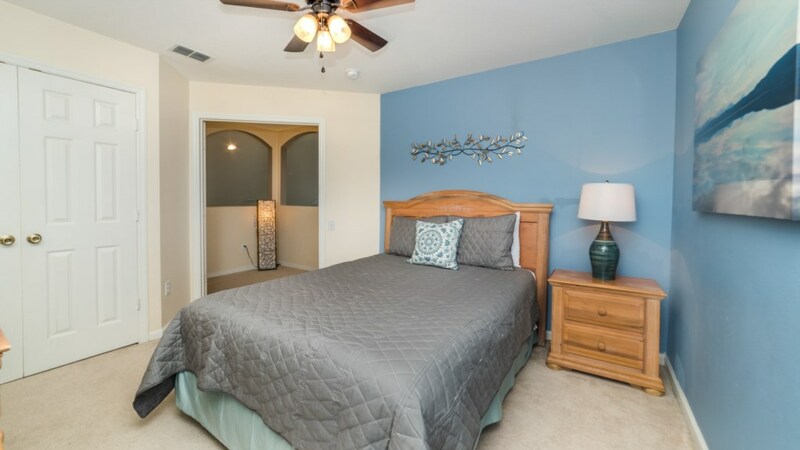 Washer, dryer, iron and ironing board and all linens are provided for your convenience. 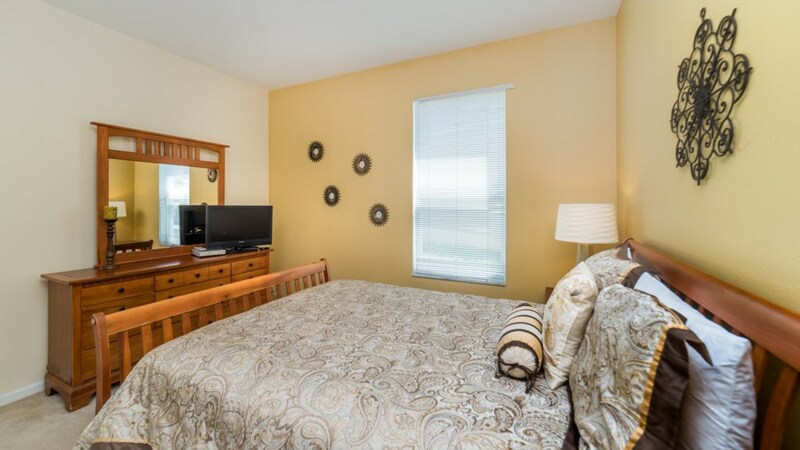 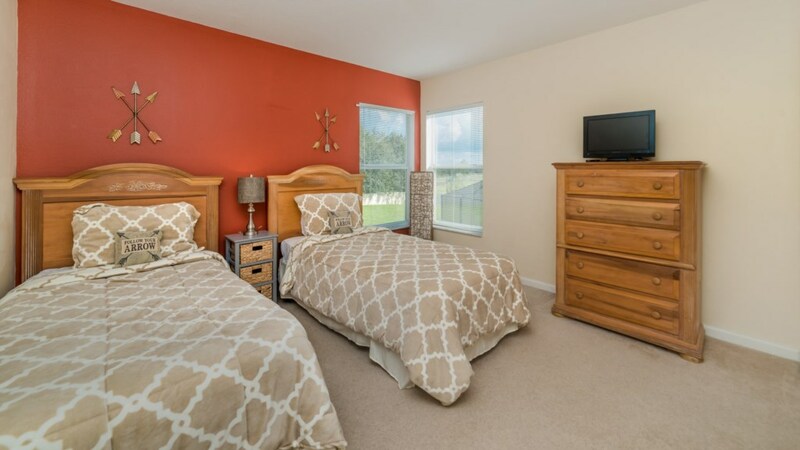 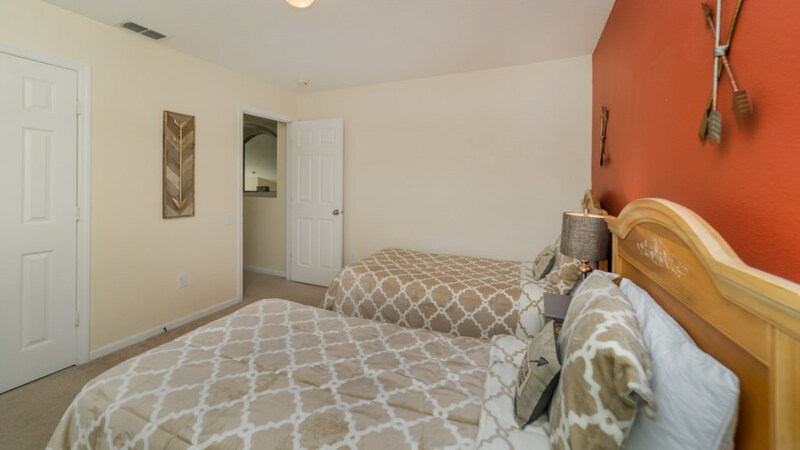 The bedroom accommodations are 1 king size, 2 queen size, 1 full size and 2 single beds; all beautifully decorated and each has its own TV and DVD Player. 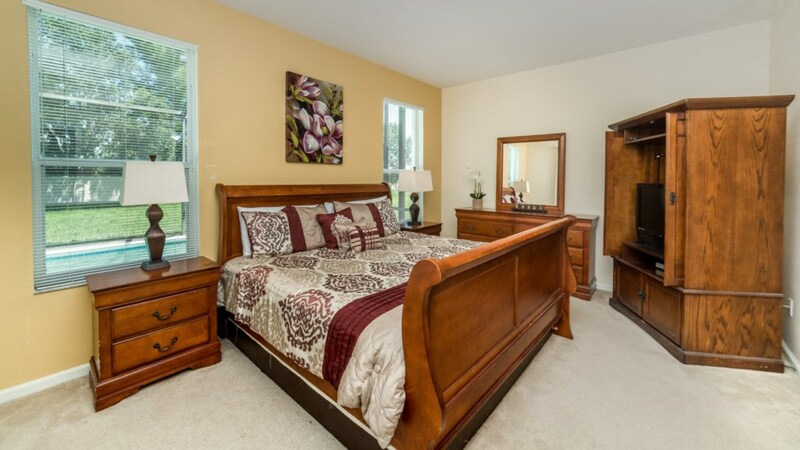 Home comes with an EZ Bed (inflatable king size bed) to allow for a total of 12 people to sleep comfortably. 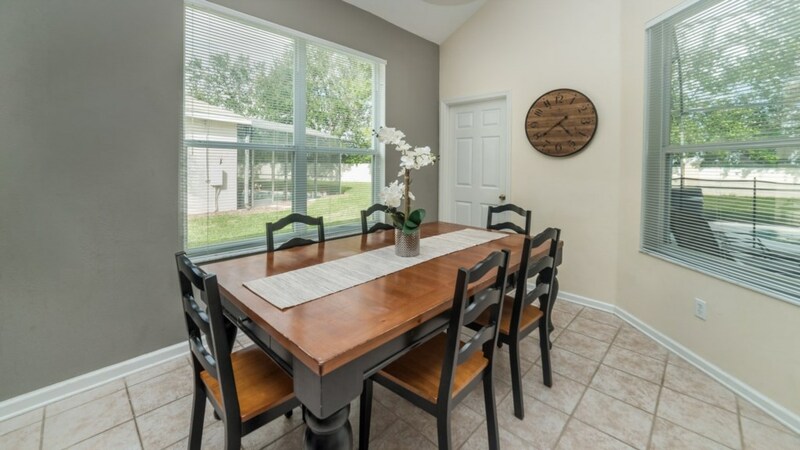 This home is absolutely perfect for large family groups.